I am an instrumentalist! I can barely sing solfege myself! My elementary music lessons on solfege are boring! My elementary kids don’t get solfege when I teach it. 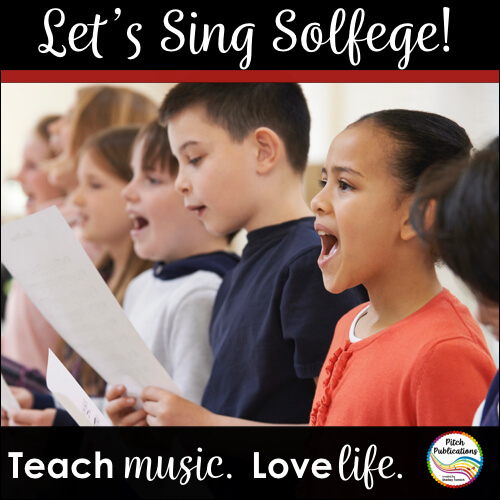 I want teaching solfege to be a fun experience for my kids! Any of these thoughts sound familiar? If so, you are in the right place! Several years ago I was right there with you. I’m a bassoon player and could barely sing solfege myself when I first started teaching. When I taught it to kids, my lessons were boring and students did not retain the information. Inspired by my own love of stories, I created Pitch Hill to make solfege a fun experience for everyone. My kids started begging to visit Pitch Hill! 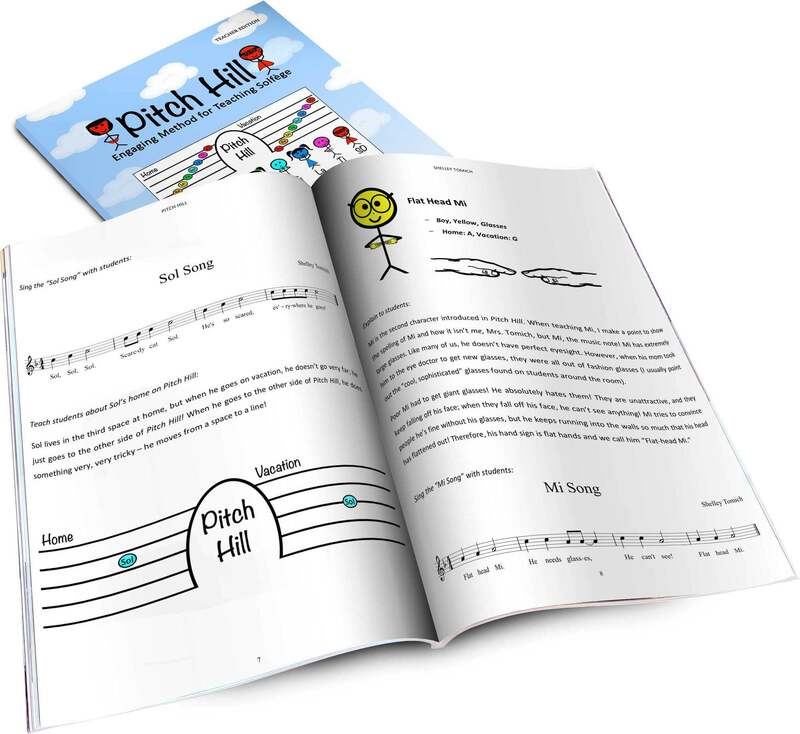 Pitch Hill is a method of teaching the notes of the musical scale in which each note is a character with his or her own story and special song! For example, meet our first character Sol! He’s a scaredy cat – scared of everything! When he leaves his house, he just peeks out from behind his eyes! We call him Scaredy-Cat Sol! The stories provide a reason for a pitch’s corresponding Curwen hand sign as well as aid in explaining the relationships between pitches. You can preview the first lesson for Pitch Hill for FREE here. In addition, you can purchase additional resources such as flipcharts, PowerPoints, posters, and more. Thanks for visiting and we hope you enjoy your visit to Pitch Hill! 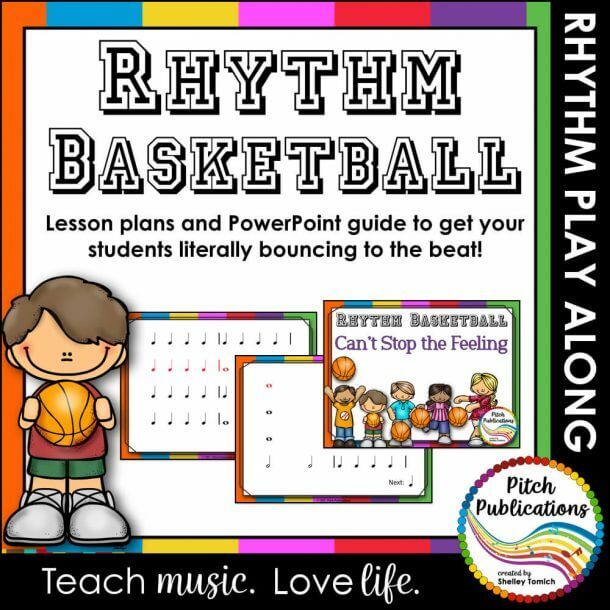 Pitch Hill products along with other music education resources from Pitch Publications are currently found at Teachers Pay Teachers and Amazon.com. Purchasing the Mega Bundle is the best way to save some money and get instant access to all the Pitch Hill materials available for your students! This post contains affiliate links. Find my full disclosure policy here. How to teach Pitch Hill and 19 lessons you can use to teach your kids solfège! Super fun background tracks for each character song! Promethean Flipcharts to guide your teaching and practice of each note! PowerPoint slides to guide your teaching and practice of each note! Pictures of Curwen hand signs and Pitch Hill characters to use a reference for your students! A hard copy of the Teacher's Manual. Each character has his or her own awesome song! Come preview them here before you buy! Preview Pitch Hill with this FREE Sol-Mi PowerPoint! Get to know the characters from Pitch Hill!